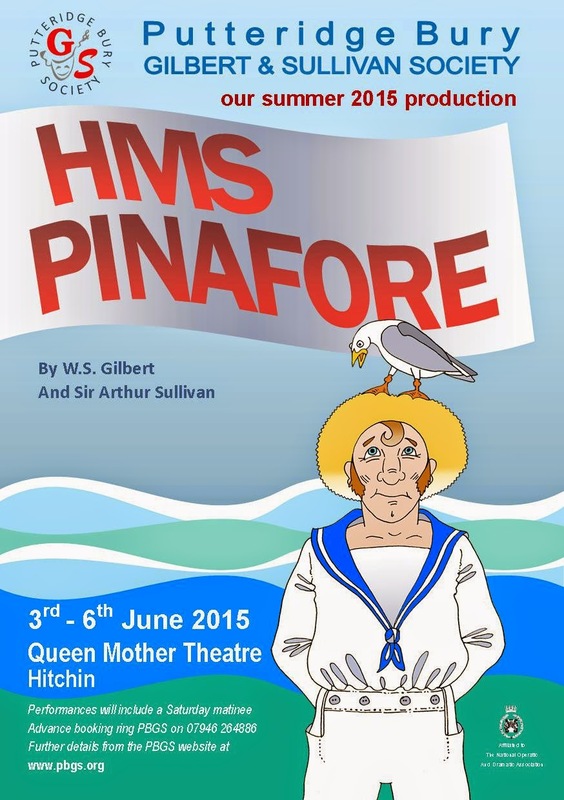 After our 'Enchanted Evening', which was a sparkling success thanks to a lot of hard work, a full house and a wonderful audience, we are now full steam ahead for HMS Pinafore! Tonight is our launch night - there will be a chance to meet our Director and Musical Director and hear about their vision for an unique PBGS show! It will be also be a chance for a jolly good Pinafore singalong. Everyone is welcome to come and 'sail the ocean blue' at tonight's launch and we look forward to seeing friends old and new for our next adventure. Time to order your tickets!